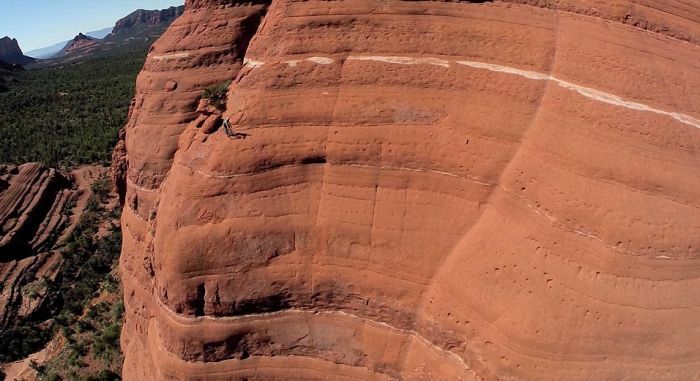 Michael Kollbek is a 30 year old daredevil from Poland and he recently got a little extreme with his love for cycling. 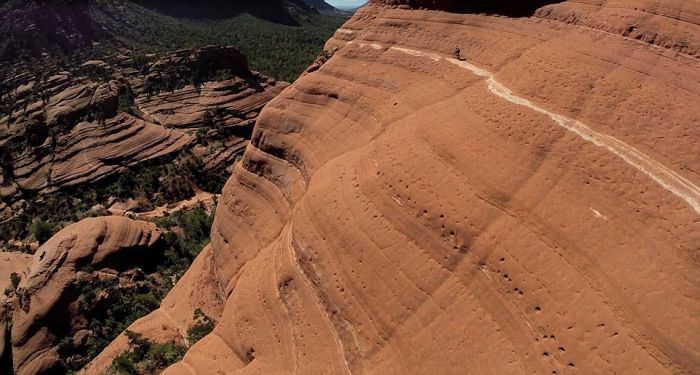 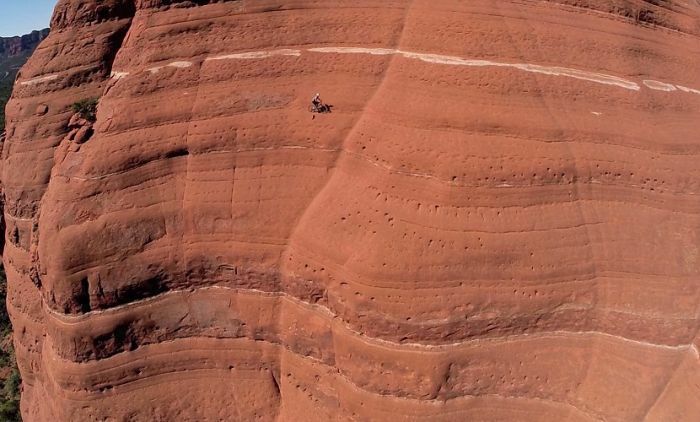 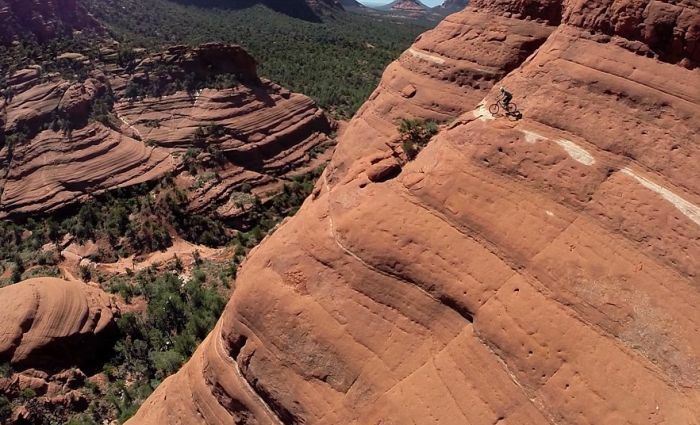 He rode his bike across the White Line Trail at Sedona's Red Rock Cliffs which are almost a straight drop down. 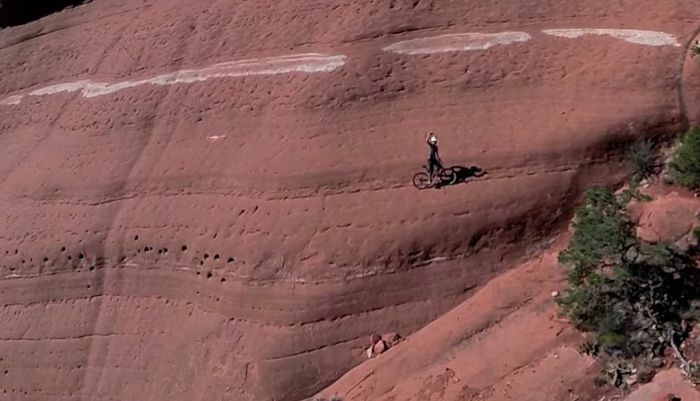 Kids, stay away from drugs.